Good news for our danish moros, you can now pre-order your hard copy of the new album Sound Of A Rebel online at RunForCoverShop.dk. Nihal from BBC Radio 1 has wrote a review about OL's forthcoming album on his blog. I have been sent the new Outlandish album, it's called Sound Of A Rebel. After the massive success of Bread And Barrels of Water and the soulful introspection of Closer Than Veins that was less commercially accessible, Outlandish have found the balance between staying true to their spiritual and socially aware beliefs and their ability to write a song with big hooks and a soaring chorus for dancefloors , MP3 players and car stereos alike. 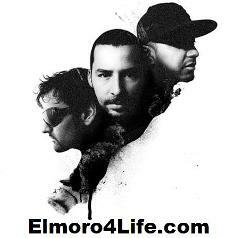 "Dale Duro" - New song, different sound! The count down to the album release started, "Sound Of A Rebel" will be released May 11th 2009. Our moros in Palestine we'll finally get a chance to see Outlandish!! The band is going to have a concert July 1st 2009 at the Cultural Palace in Ramallah (West Bank). The guys has an important fan base in Palestine especially after the release of "Look Into My Eyes" a song that addresses the insecure situation of innocent Palestinians in the occupied territories. 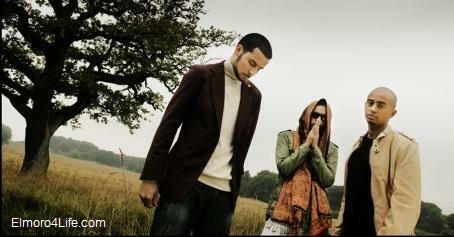 Outlandish' New Album Name & Track Listing Unveiled! Finally we got more informations about the forthcoming album by Outlandish as many Danish music websites started publishing news about it. -Edited: Outlandish updated the official Facebook page confirming the news. 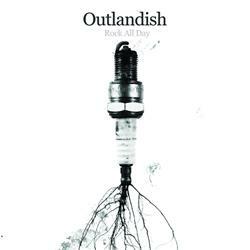 Rock All Day - Outlandish' New single 2009!!! 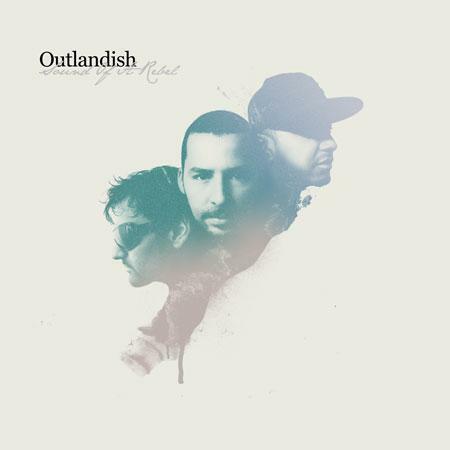 Sony BMG has released a new single by Outlandish called "Rock All Day", the single can be purchased as MP3 from major music websites such as iTunes. The release date of the new album isn't known yet, but there's news going around about a possible release in May. "One cameraman and me out on a cold rainy day without any lighting or assistent. 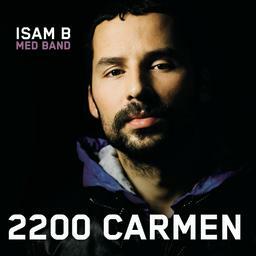 The music came from my ipod which I hid under my t-shirt so people looked at me as if I was crazy but the end result was good we think so here goes enjoy my latest video called (Sunrise)"
The music from the show named "2200 Carmen" is available on CD! You can buy the CD from the ticket office at N�rrebro Teater for 120 kr. The music is composed and written by Isam B, Soren Mikkelsen and Tore Eg. Tuesday, March 3rd Akon will give a concert with special appearance by Waqas and another danish artist know as Jokeren, the concert will be held at Vega in Copenhagen, Denmark. What's the name of Akon's latest album? Send an email to akonjokerenwaqaskonkurrence@live.dk with your answer and full address, for more informations visit MSN's website. http://gaffa.dk/nyhed/31427 - The Senegalese star had to have performed in Vega tonight, but must announce cancellation due to illness. TDC had this evening planned to present a concert with Akon in Store Vega, but they have just received a cancellation from the Senegalese star, has announced that he is too ill to travel to Denmark. It is, however, the organizers managed to find a replacement name for evening's concert, therefore you will be able to experience Outlandish. It is also as planned could see both Jokeren and Waqas. 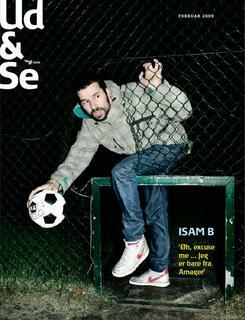 Isam B is the cover subject for the February 2009 issue of "Ud & Se", danish magazine. Or you can read the english translation by clicking "Read More". Forfoerelsen - new song by Isam B! Moros here's "Forf�relsen", one of 8 new danish songs that Isam B will be performing during the new musical play 2200 Carmen. Forf�relsen er den f�rste offentlige af ca. 8 sange fra for�rets musikforestilling p� N�rrebro Teater, 2200 Carmen. Isam B er p� scenen hvor han sammen med sit band vil spille sangene´som soundtrack til krigen p� N�rrebro mellem den �jede narkogangster og politimanden Jens. Det er kampen om den sk�nne pige Carmen - og blodet vil flyde i gaderne. Vote for Waqas' danish single! Waqas dansih single (Daggry) featuring Steffen Brandt is a candidate for two weeks in a row on the national danish radio P3's hit list. It would be so much appreciated if you could help by voting for Vicky Bhai's track. In order to vote please email tjeklisten@dr.dk with names of 5 tracks from the "Kandidater" list you'll find on the following website http://www.dr.dk/P3/Tjeklisten/Lister/. make sure Waqas' DAGGRY is one of the 5 tracks you wrote in your message then send it to the email address above.